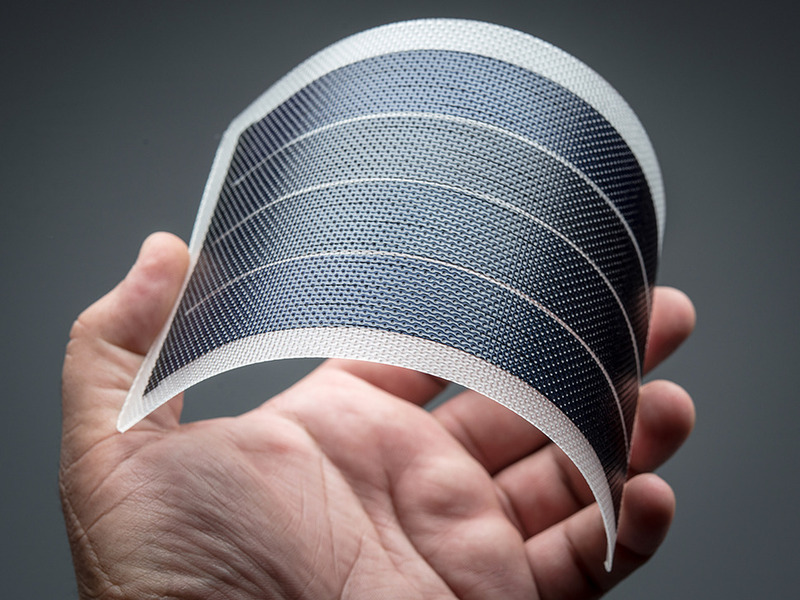 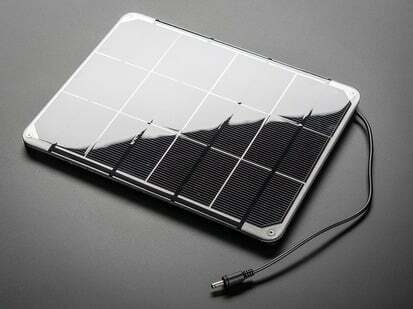 This flexible easy-to-use solar panel is a great addition to your next solar powered project. 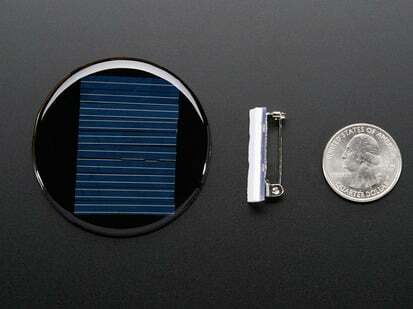 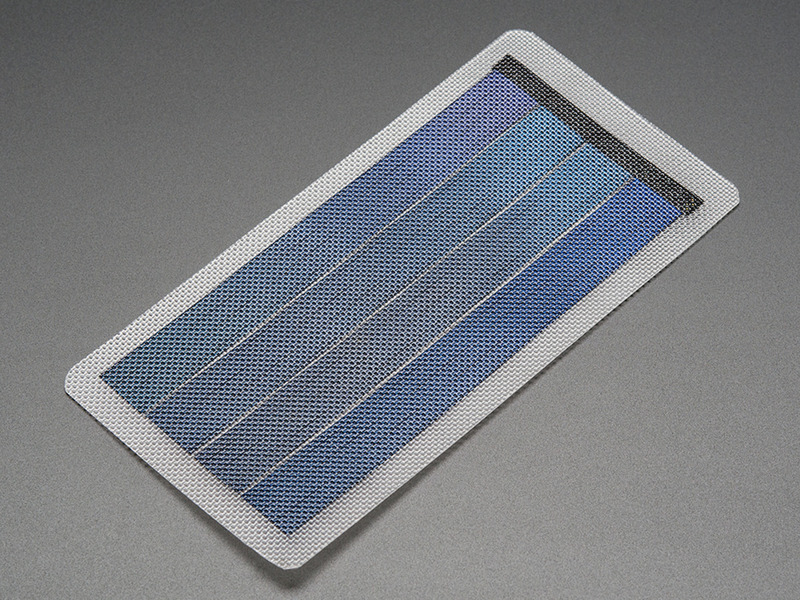 This solar cell provides approximately 6V DC in direct sunlight at up to 1W (approximately 160 mA). 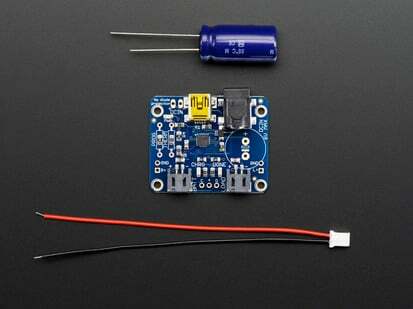 Multiple units can be chained in series and/or parallel to increase voltage and current. 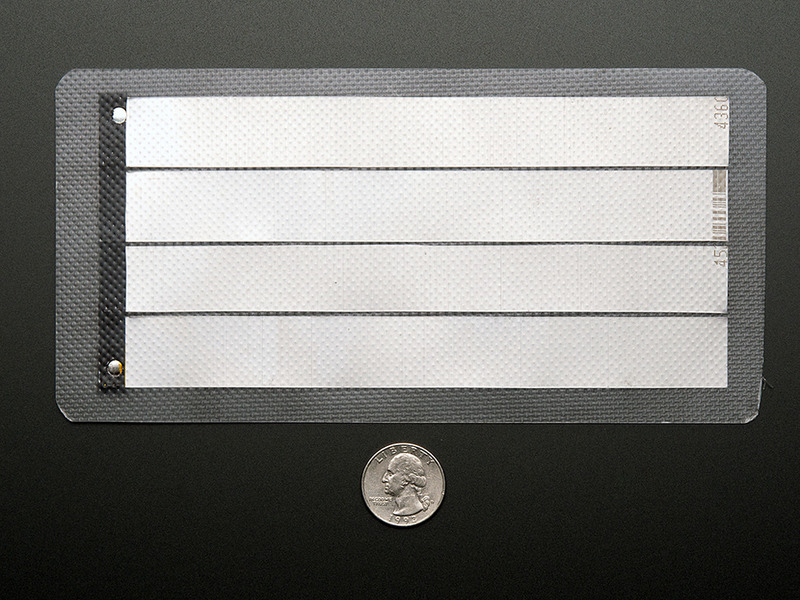 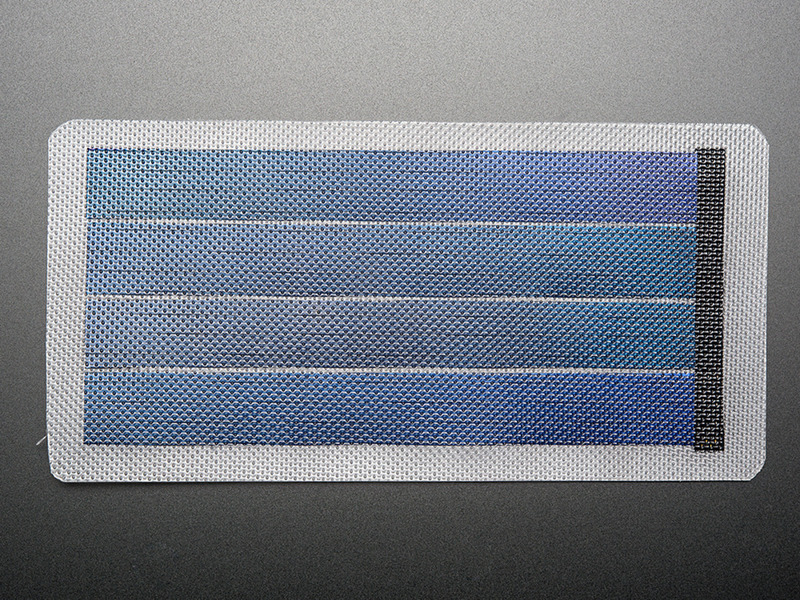 The film cells are bonded between two plastic sheets that will protect it outdoors and there are easy-to-solder connections on the back. You can use epoxy to waterproof the back contacts. 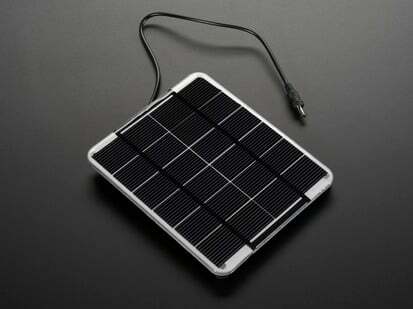 Team this up with a lithium polymer battery and our optimized Solar Lithium Ion/Polymer charger! 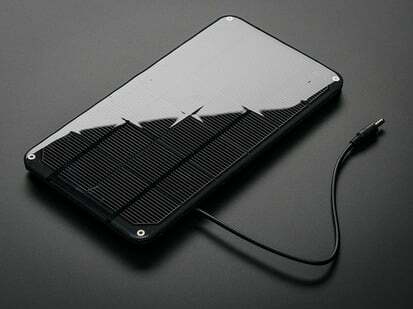 and you've got a flexible solar-rechargeable portable power supply! Dimensions: 100mm / 3.94" x 198.43mm / 7.81" x 0.77mm / 0.03"